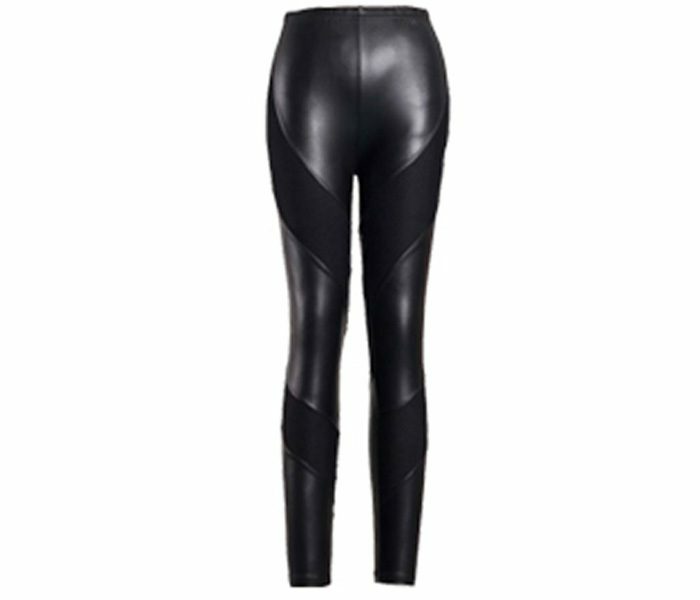 The Black Latex Effect Leggings is unique and super trendy. This option sports a comfortable mid rise that is detailed with a swirling effect of black fabric and latex materials. This pair of leggings casts and instant shaping effect on the wearers and can be worn with a variety of different top wears to create infinite trendy looks.